Students must bring lunch or buy lunch at the mountain. Text messages will be sent to all parents when we are an hour away from reaching Bayonne. Parents please be prompt! Also, all booster sheets can be returned then. 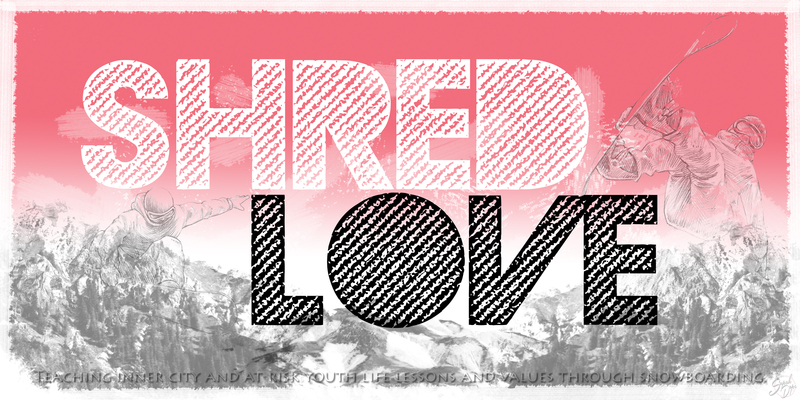 Thank you for being a part of Shred Love! It is with your continued dedication we are able to serve more deserving youth! Master of the Shred Love Temple: Grasshopper, time has come for you to lead. You must spread your wings and fly. The Apprentice Grasshopper: Master I’m not ready, I’m not worthy. There are still too many questions for which I seek answers. Master of the Shred Love Temple: You MUST answer the call. In life, you must step out on faith. You only have to believe in yourself. Follow your instincts. In you, lie all the answers you will need. The Apprentice Grasshopper: I will try my best Master. Master of the Shred Love Temple: Do not try, simply do. For the first time in Shred Love history, our fearless leader Ms. Elizabeth Royster had to miss an event (hey, family comes first as Savion was sick). She entrusted the success of the outing to her team of me, Geneva and Jerrie. To compound the challenge, Shred Love hosted the Urban Girl Squad, who signed on as volunteers for the day. Want more challenges? We were meeting two new volunteers –Rozalyn and Shay for the first time. Add to that, some guy named Old Man Winter started succumbing to the harsh effects of the dreaded flu. However, failure was not an option. Once arriving to the mountain, we were reunited for the first time this season, with our favorite Park Rat Volunteers Gio and Deondre along with the leader of Shred Love’s “the Ready Betties squad”, Michelle. The day moved along smoothly with no major hiccups as the Urban Girl Squad – Clare, Hannah, Charisse, Jamie, and Sue were on the training hill with the other first timers including Charisma, Bria and Adriana. With Trey rolling in the mini park with Gio and Deondre. Michelle riding with the “Regular Betties – Jackie, Armani Rae, Kayla, Alexis up the mountain. Shay with Brandon’s crew of – Khaliq, Edward, Darius and Julius running the mountain, Jerrie and Rozalyn rounding out the rest of the Shred Love Team on the small chairlift slope (someday I’m going to remember the name of that trail). The day went along smoother than expected. With Old Man Winter being completely under the weather, who could have asked for more? The Urban Girl Squad – after a challenging morning and a better afternoon, enjoyed themselves. As for the kids of Shred Love, they ALWAYS have a great time on the mountain. As for our fearless and omnipresent leader, Liz, she can now find comfort in the fact that she has a competent team in the event of her absence. Special thanks to ALL for making this event a success! Master of the Shred Love Temple: Grasshopper, you’ve done well. The Apprentice Grasshopper: Thank you, your Excellency. Michelle of Saturday Sunday Snowboard joined us and made a huge impression of our group. Her son Deondre and his friend Giovanni made Jaden’s day. Read more about the day at Michelle’s and don’t forget to sign up for updates! Its no secret that Shred Love starts early in the morning (our bus departs from Bayonne at 7am, sometimes 6am), but the women from Urban Girl Squad had an even earlier start, as some came as far as Brooklyn. We greatly appreciate their dedication in helping us serve more youth through snowboarding. That day we served our largest group to date. Thanks again Urban Girl Squad! We’re looking forward to riding with you ladies again on Sunday, February 26!